Nissan India has declared a unique Test-Drive Challenge across its Indian dealerships. This new challenge will be available for customers who will be test driving the Nissan Micra CVT, Datsun Redi-Go Smart Drive Auto or the Nissan Sunny CVT in March 2018. After taking a test drive, if any customer decides to buy a car within the relevant market segment from any other brand within a period of 7 days from the test drive, there will be a chance for him/her to win accessories up to Rs.8000 or Rs.5000 from Nissan and Datsun respectively. According to the Managing Director at Nissan Motor India Private Limited, Jerome Saigot, this unique Test-Drive Challenge stands testament to the company’s belief in its products and their capabilities. The company is excited about welcoming more new customers into the family with this special initiative according to him. The Datsun Redi-Go Smart Drive Auto has been launched recently and comes with new features like an audio system with Bluetooth, Rush Hour Mode and Dual-Driving Mode. The introductory pricing stands at Rs.380,600. 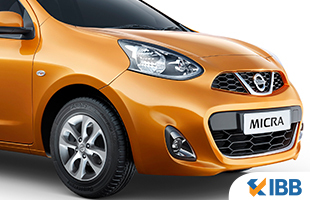 The Nissan Micra Xtronic CVT offers the best-in-class package at Rs.599,000 and comes with European styling for the interiors and a sportier driving experience. The Nissan Sunny gets the Xtronic CVT option along with best-in-class comfort and space and is priced at Rs.923,570. Accessories priced up to Rs.5000 and Rs.8000 will be provided to the buyer upon production of necessary documents within a period of 7 days from the test drive. Other claim documents include the documents which are specified and the invoice of the accessories provided to the buyer in tandem with the acknowledgement copy where the signature should match with the PAN Card signature.